Last year I decided to take the leap and flip my middle school science class. I did not flip every lesson, only the beginning of every unit. At the end of every quarter I always asked the students to reflect on their learning and my teaching. The results on the flipped lessons were always the same. More than 95% of my students continuously said the flipped lessons were the most useful in helping them learn the basic information. 1. It helped me to better meet the needs of my students. I was able to discover right away if they understood the information or not and could intervene before they got to far behind. To help me in making my "flip" easier I came up with an acronym FIRE: Format, Interact, Reflect, and Extend. 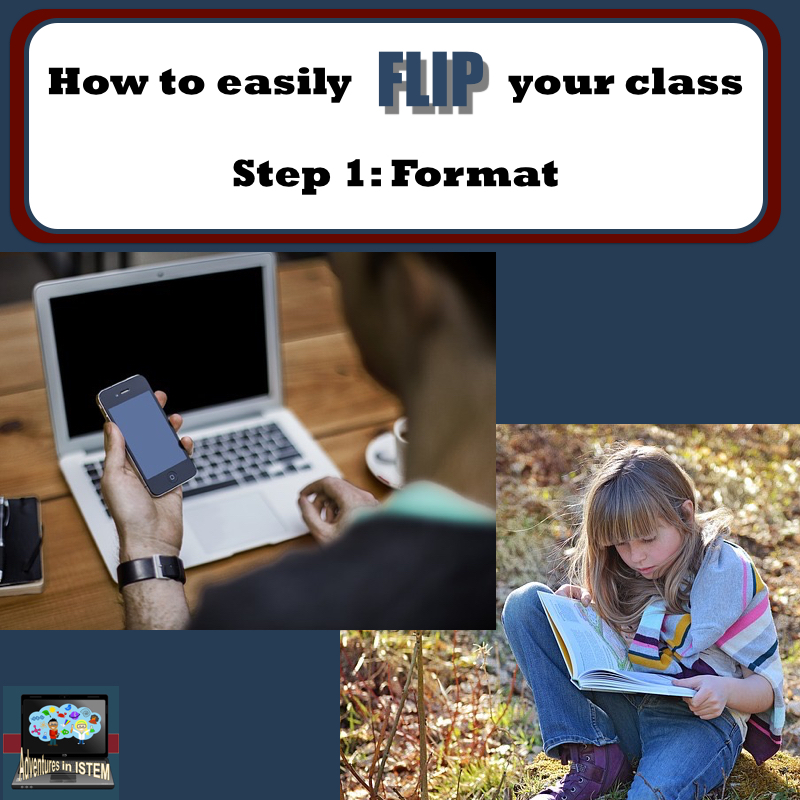 By following these four easy steps it made flipping my class a lot easier. The first step you need to do is choose your format. Although most flipped lessons have students watching videos at home, it doesn't have to be a video. 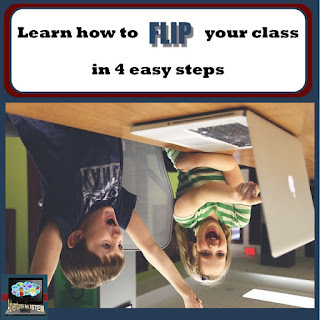 The main point of the flipped lesson is for students to learn the basic information at home so you can spend more time in class tackling the higher level thinking activities. With format you need to chose if you are going to have them watch a video or read a piece of text. If you chose to have them watch a video you have some choices. 1. Will you make your own or will you find one already created for you? Youtube is an excellent place to find videos already created from other teachers. If you make your own you will need some type of screen casting software. I use screencast-o-matic. Its free and can be used with both mac's and PC's. 2. Make sure your videos are no longer than 5 minutes. After polling my students many times and asking for feedback, they suggested, and I agree, that 3-5 minutes is a good time frame. I teach middle school so high school could possibly go to about 7 minutes. Keep in mind that although the video is only 5 minutes long, the students will be watching, pausing, taking notes, and re-watching. A 5 minute video could take students 15 minutes to complete depending on the information and the level of learner you have. 3. Keep the information in the video short and simple. They should be able to put everything on one page of notes. Remember they are learning just the basics. 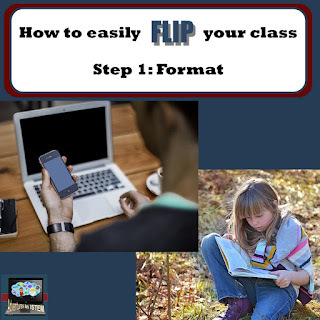 When you do a flipped lesson it is important to have some way for students to access the lesson the next day in class for those that were absent and missed the assignment, forgot about it, discovered that their internet was not working, or for what ever reason they didn't do it. If like me your chromebooks, tablets, or computers are being used in another classroom than you will want to assign them text as homework instead. 1. Make the text they are reading short. It should take the average student 5-10 minutes to read. 2. The text should have just the basic information and possibly a few examples. The summary of a section is great for this plus reading the diagrams. 3. The information they will be taking notes on should be able to fit on one page. If you flip your class, how long are your videos? Do you make them yourself or find them? Leave your thoughts in the comments below.